Quick reminder – don’t forget to enter the Shabby Apple necklace giveaway! Ends tomorrow at 11:59PM EST! 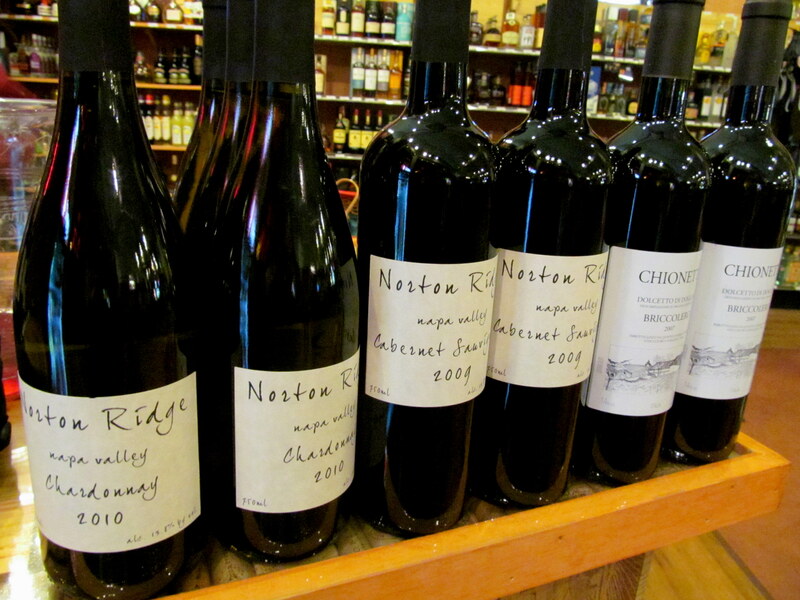 I’ve blogged plenty about my favorite local package store, Sonoma Wines & Spirits. But they keep giving me reasons to love them, so I’m gonna continue writing about their fabulous wine selection – no apologies here. In fact, they are offering tastings both today and tomorrow on location in Glastonbury, so if you are a local reader, be sure to stop by for free wine samples + education! 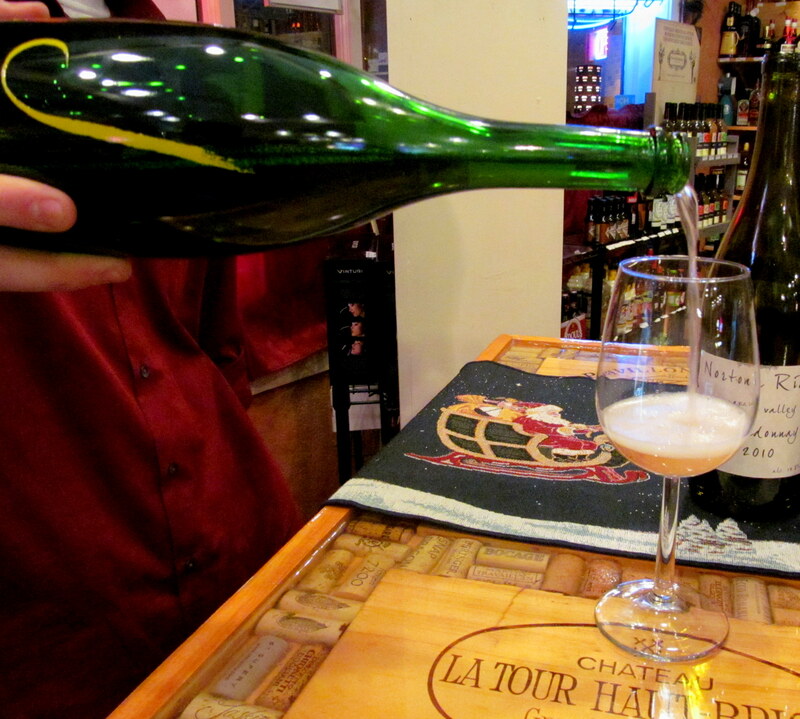 I attended a free Saturday evening tasting recently, in which I tried the first sparkling wine that I can honestly say I enjoyed! It had already sold out by the time I arrived, but was a nice preview for a possible future purchase. This wine, made by J Vineyards, located in the Russian River Valley in Cali, would be wonderful at a Christmas or New Year’s Eve party. The next two wines for tasting consisted of a Chardonnay and Cabernet by Norton Ridge, a “winemaker’s project”. Each wine is given the personality of the wine maker, because he or she is the one that chooses the fruit sources that go into it. The Chardonnay was quite good – definitely something I can see myself having a glass or two of. 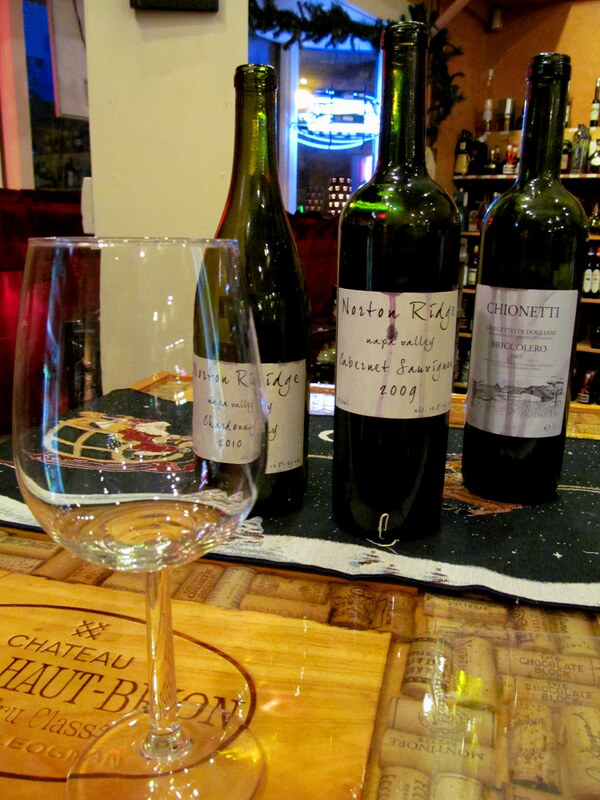 The Cabernet was quite tasty, as usual, but was not stand-out to me like the sparkling wine. My favorite of the four was also the grand finale – Chionetti Dolcetto di Dogliani Briccolero 2007. I had never had a red like this before, and was beyond impressed. 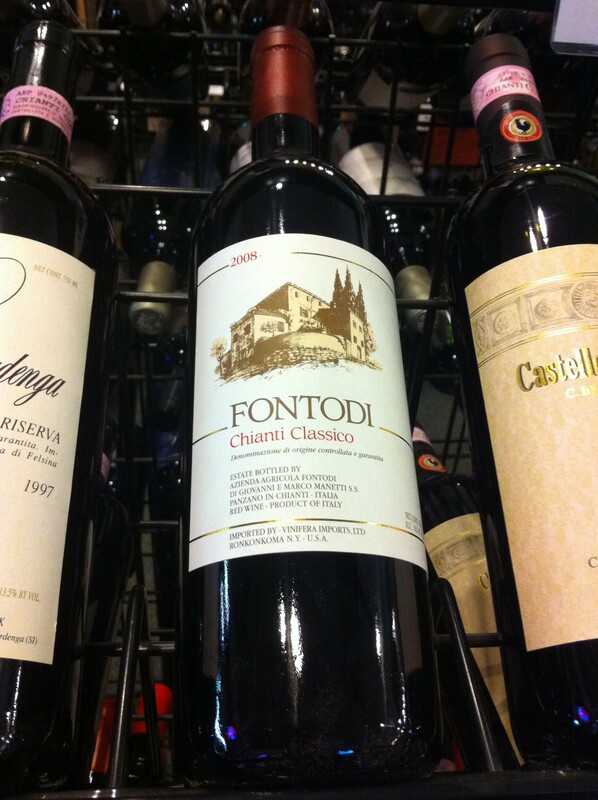 I could really taste the high-quality of this Italian red and really wanted to buy a bottle – but it was a bit out of my price range, at $21.96. Luckily, Elliott the expert recommended something comparable at $15. I can’t wait to crack it open soon! As if that wasn’t enough wine (wait, you can never have enough wine, so forget that I said that), I stopped into Sonoma the other day to pick up something for a friend and was greeted with a half-glass of Chianti – a spontaneous tasting, thanks to a salesman who had stopped by earlier that day to deliver a complimentary bottle! 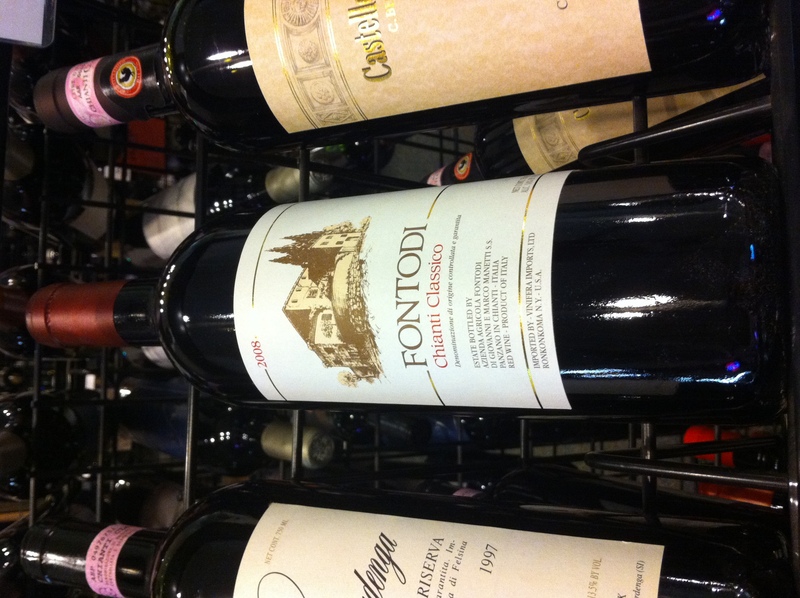 The bottle pictured is a 2008, but the wine I sampled was actually from 2007 – double score! This is a nice wine at $35/bottle! Thanks to Sonoma for continuing to feed my wine fascination!